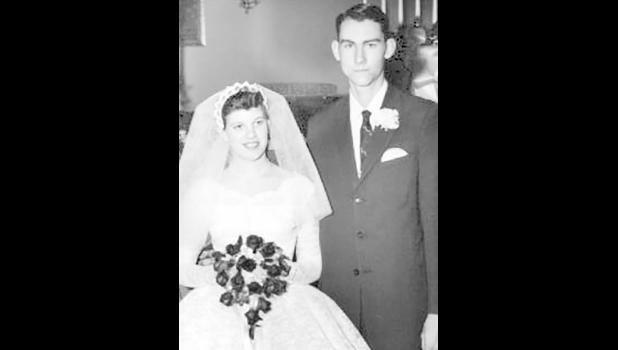 Paul and Carol (Bostwick) Shipman will celebrate their 60th wedding anniversary on April 5, 2019. They were married at the United Methodist Church in Hoyt on April 5, 1959. The couple will celebrate with a family luncheon, followed by a trip to Branson, where they also celebrated their 40th and 50th anniversaries. The couple’s children are Linda Anno and her husband, Danny, of Hoyt and Sheryl Barnett and her husband, Andy, of Valley Falls. They have one grandson, Wyatt Barnett. Since retirement, they have enjoyed traveling to California annually, as well as other places of interest in the United States. They continue to volunteer in the Topeka community. Cards can reach them at 4628 N.W. 35th St., Topeka, KS 66618.